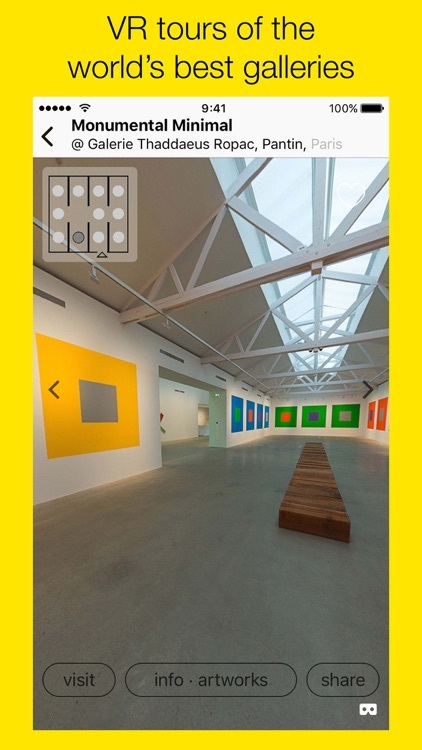 Stunning 360-degree panoramas of modern and contemporary art exhibitions from the world’s leading galleries and museums. Discover exhibitions. 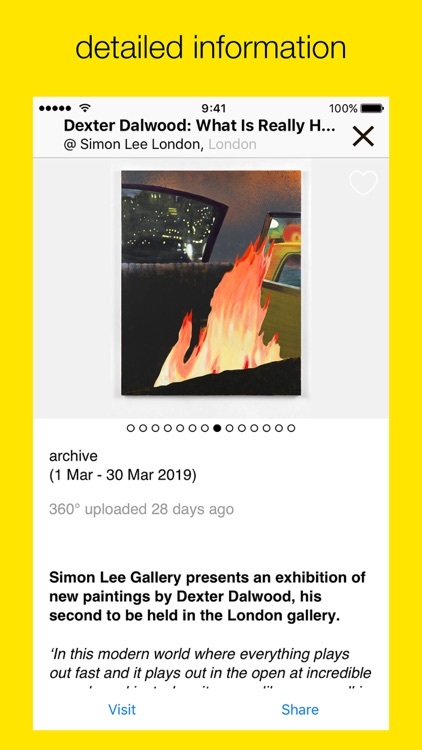 Each featured exhibition includes its artist, title, gallery, and location, with a tab indicating whether it’s closing soon or it’s an archived exhibition. 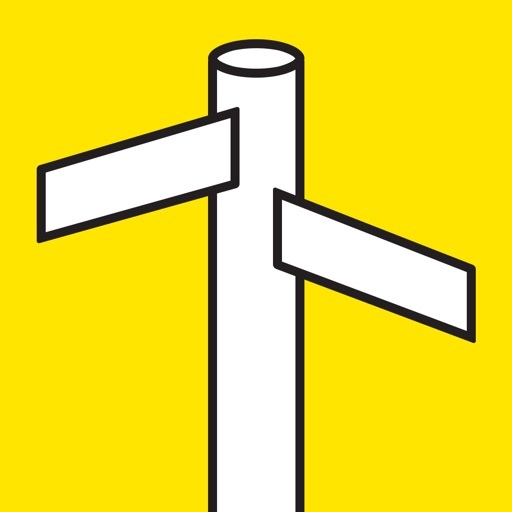 Tap an exhibition you’re interested in, and you’ll be taken to the exhibition page, which shows more information on the exhibition, artist, and gallery. Go on virtual tours. Tap one of the 360-degree icons to open the corresponding 360-degree view. Then just swipe on the screen or move your device to pan around and explore the exhibition in 360 degrees. You can also press the VR icon to use a VR headset like Google Cardboard for a more immersive viewing experience. 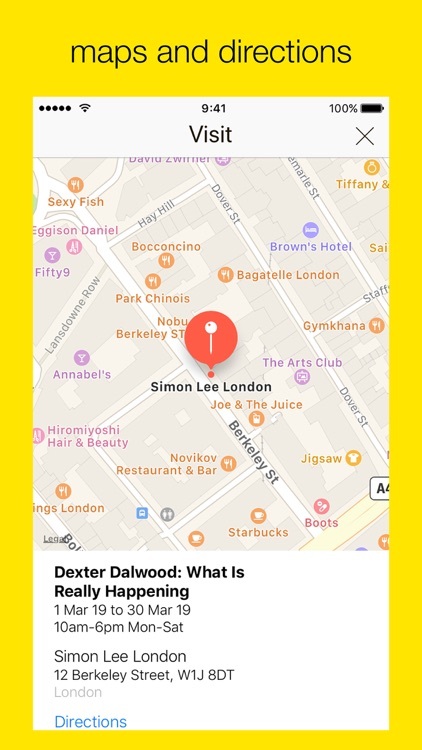 Developed by GalleriesNow, ArtPassport is your virtual guide to the programs of some of the world’s leading art galleries and museums. 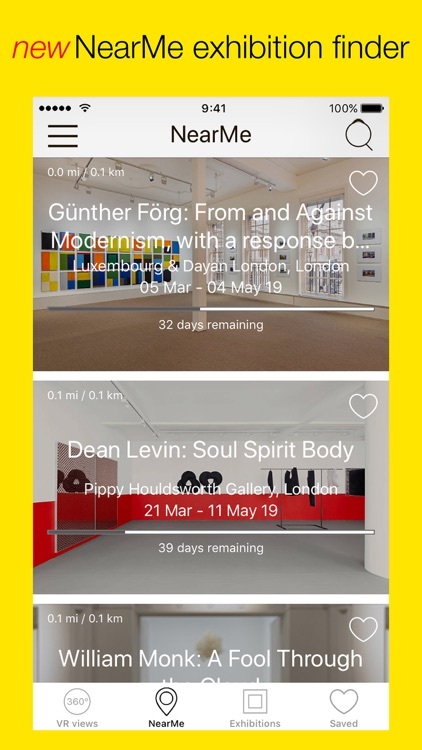 It presents a regularly updated listing of exhibitions in 35 cities across 23 countries around the world, including the major art centers of Berlin, Hong Kong, London, New York, Paris, Sào Paulo, and Zürich. 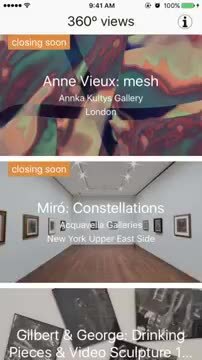 Each featured exhibition includes its artist, title, gallery, and location, with a tab indicating whether it’s closing soon or it’s an archived exhibition. 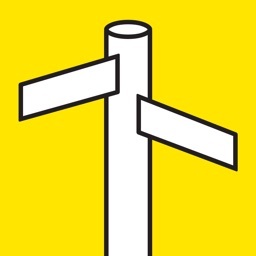 Tap an exhibition you’re interested in, and you’ll be taken to the exhibition page, which shows more information on the exhibition, artist, and gallery. 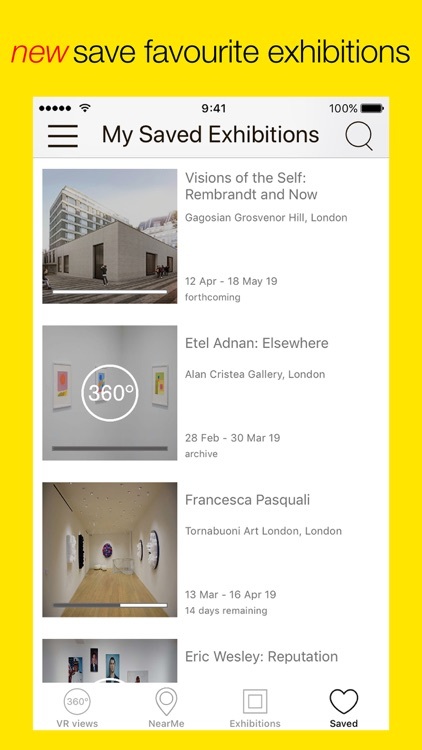 Tap Visit to open a map showing the exhibition dates and the location and opening times of the gallery, with a Directions button that you can tap to open the Maps app with a route you can follow to visit the gallery. Tap Works to view the individual pieces from the exhibition and more about them. Now for the best part: Tap one of the 360-degree icons to open the corresponding 360-degree view. Then just swipe on the screen or move your device to pan around and explore the exhibition in 360 degrees. You can also press the VR icon to use a VR headset like Google Cardboard for a more immersive viewing experience. 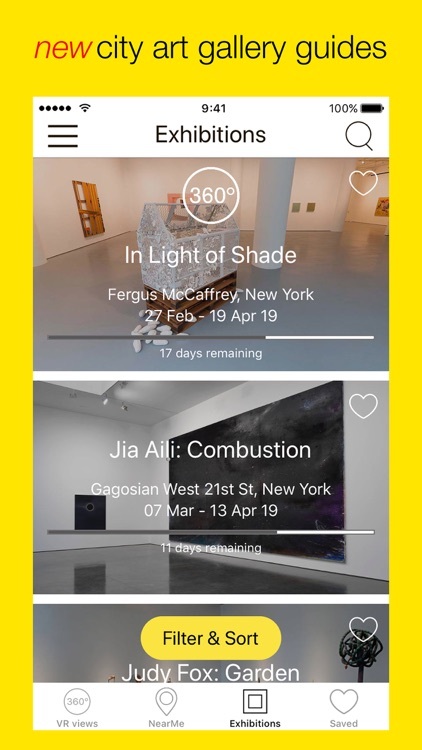 ArtPassport is a godsend for serious art lovers who for one reason or another cannot visit modern and contemporary art exhibitions held in galleries across the globe. 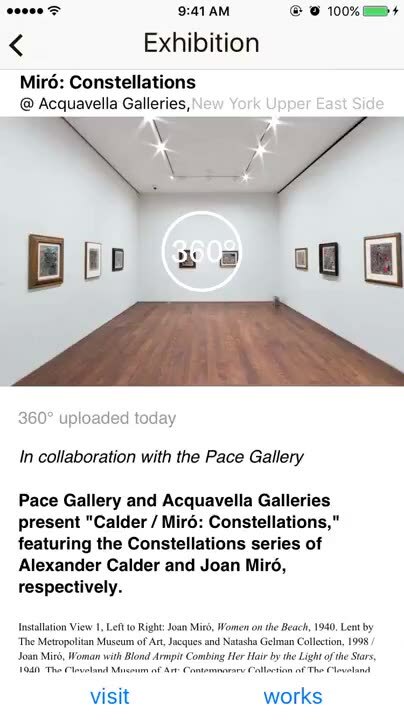 It’s an excellent way of discovering and learning more about artists and their works, most especially with its 360-degree views of featured exhibitions. But in its initial version, the app may fall short of expectations. For one thing, it doesn’t have a search function for finding exhibitions of specific artists or galleries. For another, it doesn’t enable users to find nearby exhibitions, which can be a boon to traveling art aficionados. But the most glaring omission is support for zooming in 360-degree views, leaving users to content themselves with looking at small works of art from a considerable distance.